Long a fixture of Sharon Valley, the “Valley Store” was opened by Aaron Reed in 1820. Hotchkiss and Company, manufacturers of malleable iron products such as curry combs, nails, mousetraps and screw wrenches, operated the store from the middle of the nineteenth century. In the 1930s, the store was operated by Alanson (Lance) Middlebrook and his wife, Ruth, and employed young men as clerks and delivery men. Lance served as a state representative from Sharon. Note the outhouse to the left and the Sharon Valley Post Office sign. The Blast Furnace in Sharon Valley, is supposed to have been the first of the kind in Sharon. Samuel Roberts, now of Dobbs Ferry, N.Y., says his grandfather, Lyman Bradley, owned and ran it in 1825, and he thinks he was the builder of it. It has had several owners since, the last being “The Sharon Valley Iron Company”. Its ruins are still standing to remind us of the time when Sharon Valley was the most industrious portion of the town. Another important industry in Sharon Valley was the Mouse-Trap Shop at the “Jewett Manufacturing Company’s” plant. Bass-Wood lumber in car-load lots was bought and stacked in the yard for seasoning. The traps were of six sizes, and were called one, two, three, four, five and six hole traps. The one hole traps were triangular in shape. The two and three hole were oblong, the four hole was a perfect square, and the five and six hole were round. They were cut and stained, after which the holes were bored. Augurs and bits of different sizes were belted together so that the pulling of a single lever completed the boring of many holes at the same time. The wires were bent into the many shapes required, by machines that were almost human in their operation. I have been told these were the invention of Judson Bostwick, father of our neighbor, A.J. Bostwick. The shaping of the traps from the rough lumber gave employment to many hands, many of them boys and some of them girls, for the work required nimble fingers rather than bodily strength. It also made quantities of chips which were carted away to be used for bedding for horses and cattle. It was a common sight to see people carrying away great sacks full of traps and wires to be put together at their homes during the long winter evenings. It was a source of income to many that was greatly missed after the burning of the mouse trap shop. Sharon Valley is a small group of modest buildings, most from the mid-19th century, centered on the intersection of Sharon Station, Sharon Valley, and King Hill Roads. Two small streams, the Webatuck and Indian Lake Creeks, run nearly parallel through the valley, and most of the settlement lies between the two. The land there is flat, but rises sharply as one travels west on Sharon Station Road toward the New York border. In the nineteenth century, Sharon Valley was the site of several industrial enterprises, and remains of two of these, a limekiln and the ruins of an iron furnace, are included in the district. Most of the houses in Sharon Valley are quite plain, with only a hint of a stylistic reference, but there are also three finely detailed houses from the Federal period. Other buildings in the district include five workers’ houses built by the iron companies, a former store and company office at the major intersection, the former town poor farm, and several old barns. The boundaries of the district largely coincide with the historical bounds of the settlement known as Sharon Valley: The area between the two brooks or rivers, from just north of the intersection to the point where Indian Lake Creek crosses Sharon Valley Road. Because Indian Lake Creek has wandered considerably over time, the eastern edge was taken as the rear property lines shown on Sharon Assessor’s Map 25. The northern boundary was extended to include the headrace and dam associated with the iron furnace, since these ruins together form a logical unit. To the northwest, the lime kiln and adjacent land were included, but the rest of the large open tract owned by the town was not, as there seemed to be no reason to include the ball fields, highway garage and sandpit, nor was there any meaningful way to divide up the large parcel other than singling out the kiln for inclusion. On the south end of Sharon Valley Road, there were no more 19th -century houses, and on King Hill Road east, Sharon Station Road west, and Sharon Valley Road north, there were simply no more structures. The historical integrity of the area is somewhat compromised by the group of four modern houses (photo 15, background) in the middle of the district, but the overall proportion of 19th-century buildings in high: Better than two-thirds of the structures contribute to the district in one way or another. Most of these have their characteristic form, details, and materials intact, even where changed much. The iron furnace and the kiln are in ruins, and many small industries, as well as the malleable iron works, have vanished with even fewer traces. But the old houses, barns, store and other buildings are still in place and together with the industrial remains, they preserve a distinct sense of local for Sharon Valley. The most visible of the industrial remains in Sharon Valley is the limekiln, which stands at the base of the hill going west on Sharon Station Road. The kiln is about 18′ square at the base, and the sides taper slightly inward, rising to a height of about 20′. The walls are rubble of coarsely cut limestone blacks banded at two levels by oak timbers. There are round-arched openings at the base on the east and west sides, and a rectangular one on the south side. The interior reveals a honeycomb of firebrick within each arched opening. The kiln is somewhat deteriorated at the top and in the interior, but is relatively well preserved. It probably dates from about 1880. Across Webatuck Creek (formerly known as the Ten Mile River) are the ruins of the Sharon Valley iron furnace complex. The site has been developed since 1825, when Lyman Bradley built the first blast furnace there. The remains of the present furnace date from 1863, when the operation was converted to a hot blast. The furnace has almost completely disappeared: only some limestone rubble, iron tie-rods, and firebrick arches remain above ground to mark its location (photo 2). Other remains visible at the site include some limestone foundations or retaining walls; the foundation of the blowing house, a wheel pit with an arch over the tailrace (photo 3); a pipe about 4″ in diameter, possibly for circulating cooling water; and mounds of slag. The race leads upstream, between earthen embankments, about 1500′ to the remains of the dam, rubble with iron tie-rods. After Bradley, the furnace was operated by Horace Landon until about 1873, then by the Sharon Valley Iron Company. Although the latter sold out in 1989 to Barnum, Richardson & Company, it seems that Barnum, Richardson had an interest in the furnace at least twenty years earlier. The other large enterprise in Sharon Valley was located where Indian lake Creek (also known as Mudge Pond Brook) crosses Sharon Valley Road. This was the site of the Jewett Manufacturing Company and later the Malleable Iron Works. Virtually nothing can be seen there now except some cinders and some discarded work such as scissors found in the stream. The land was graded and filled to make the present house lot. There were many smaller manufacturing sites, including a carriage shop, cider mill, forges, and a stove shop, but evidence of these is now well-concealed. There are three bridges in the district, of which the most distinctive is the three-panel pony lenticular truss across Webatuck Creek (photo 7). The design was practically exclusive to the Berlin Iron Bridge Company of East Berlin, Connecticut, and this example probably dates from the 1880s. After the 1955 flood, the road was widened and a deck supported by I-beam stringers was installed, so the trusses now serve only as guardrails. The other two bridges are I-beam supported decks with guardrails of lattice strapping. Rosettes on one of these suggest that these may also be Berlin Bridge products, probably from the early 20th century, when the company was know as Berlin Construction Company. Most of the buildings in the district are plain with little ornamental detail, but there are a number of exceptions. 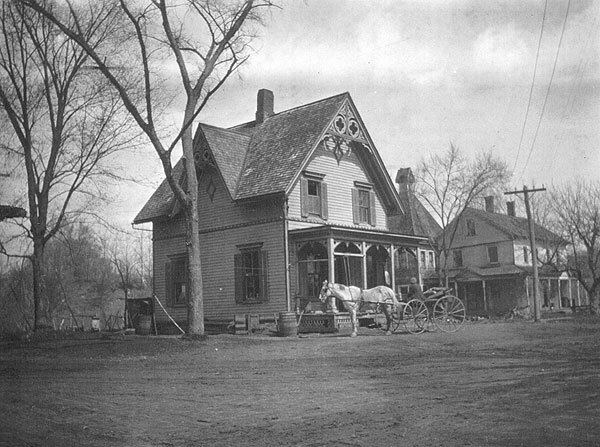 Dominating the major intersection of Sharon Station and Sharon Valley Roads is the Gothic Revival Valley Tavern, #34, at one time the office building of the Sharon Valley Iron Company (photo 4). Nearby are two finely detailed Federal-style houses, the Hotchkiss House (#53, photos 10 and 11) and the Abel Woods House (#36, photo 5). The latter has one of the most elaborate Federal-style interiors in the state (photo 22). Another elaborate house of the early 19th century, some distance south on Sharon Valley Road, is #11 (photos 13 and 14). Related to these are three plainer buildings of the period, #’s 17, 35, and 52, less well detailed, but each with some characteristic feature such as a Palladian window, semi-elliptical light, or modillions along the cornice (photos 4 and 10). Of the houses built later in the century, the only one with a large amount of stylistic detail is the Greek Revival #12 (photo 16). Northwest of Sharon Station Road are five houses associated with the iron industry. The first two, #’s 30 and 31, are very similar and were owned by and probably built by the Sharon Valley Iron Company (SVI). They are small 1 ½ story houses with two small attic windows on the façade or long side, side entrances, and low lean-tos across the rear (photo 9). The next three houses, #’s 27, 28, and 29, are larger, L-shaped, and are nearly identical to houses built by SVI’s successor, Barnum, Richardson & Company, in Canaan, Connecticut. In addition to their distinctive form (photo 8), characteristics include the corner brackets and carved rafter ends. They were probably built in the 1880s. Other buildings put up by manufacturers include the rather plain store building (#18, photo 12), originally the store of Hotchkiss & Sons, and the similar house at the eastern edge, #41, also built by Asahel Hotchkiss. Another simple building is the former town poor farm, #38, with its distinctive double end entrances (photo 6). The remainder of the buildings are houses from the second half of the 19th century, and most are 2 or 2 ½ stories in height, L-shaped in plan, and limited in ornament. Nearly every one, however, has some touch of Greek, Italianate, Gothic, or Eastlake detail in the porch, windows, cornice or doorways (photos 15, 17, 19, 20, and 21). Small central brick chimneys are the norm, and most houses are built with their ridgelines parallel to the road, with small windows lighting the attic story. These, too, have limited elaboration, such as #62, with its simple Greek Revival doorway (photo18). Sharon Valley National Register District is a distinctive group of industrial remains, houses, and other buildings. Several buildings are of architectural significance as representatives of particular styles of architecture, and one of the Federal houses has an interior that is among the finest in the state (Criterion C). Regardless of their architectural merit, however, almost all of the buildings are rich in historical associations, and taken together embody the industrial heritage of the village. The settlement at Sharon Valley grew up around various water-powered enterprises, and the ruins of the limekiln and the furnace and the houses of Valley residents all recall the historical development of the area as a small manufacturing center (Criterion A). Moreover, some of the remains may be of interest to the industrial archeologists. Above ground, there are the lime kiln, furnace ruins, and the small wrought-iron bridge, and while erosion and flooding have undoubtedly taken a toll, subsurface material related to the iron and lime industries has probably survived. These remains may be useful in answering questions about the development of these technologies (Criterion D). In the 18th century, Sharon was almost exclusively reliant upon an agricultural economy. By mid-century, however, the waterpower of Sharon Valley was being used to power small grist and saw mills and forges, enterprises directly related to the needs of the farming community. Agriculture continued to be important throughout the 19th century, though general farming was supplemented by a growing specialization in sheep raising, particularly by Chauncey W. Morehouse, a Valley resident who had 274 acres and 100 sheep. At the same time, blacksmith shops and a cider mill continued in the Valley, along with other small-scale enterprises, including a woodworking shop, carriage works, and a tin ware and stove maker. The 19th century saw the development of industry on a larger scale. While never as large or influential as eastern Connecticut textile mills or the metalworking companies in the central part of the state, the industries which developed in Sharon Valley did have a large impact on the settlement there and on the town as a whole. Sharon Valley was an ideal site for an iron furnace, as it had waterpower, a source of ore at nearby Indian Lake, plenty of limestone in the surrounding hills, acres of hardwood for charcoal, and even good sand for the pig beds. The furnace was built in 1825, used a cold blast, and according to the 1850 Federal Census employed 12 hands, making it the largest employer in the Valley. When the Sharon Valley Iron Company formally sold out in 1898, they owned six houses, a barn, and the office at the corner, in addition to the iron furnace itself. 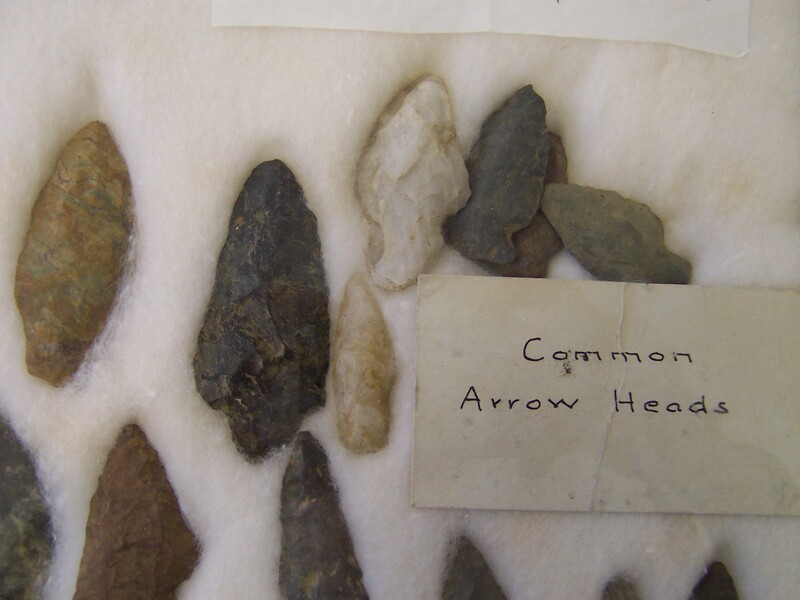 They also owned or leased ore beds, sand deposits, timberland, and limestone quarries nearby. It is likely that they also ran the limekiln as a sideline to their main business. It was owned by sheep raiser Morehouse, who also owned some of the limestone quarries leased to the Company. The second large industry was the hardware and malleable iron works. Although initially smaller than the blast furnace operation, this industry came to have a greater effect on the Valley. The first to move beyond the small one or two man forge was Asahel Hotchkiss, who came to Sharon Valley in 1829 and set about making hardware and “snaps” at a location on Mudge Pond Brook (Indian Lake Creek) directly behind his house, #53. Hotchkiss formed partner ships with other local entrepreneurs, including Alpheus Eggleston and Ebenezer Garnsey, and the 1850 Census lists 9 hands employed and an annual production of $25,000 worth of hardware, primarily agricultural implements. Hotchkiss and his sons expanded their business in the following decade, building a large factory at the southern edge of the settlement where Indian Lake Creek crosses Sharon Valley Road. Hotchkiss & Sons and the closely related Jewett Manufacturing Company together employed 87 hands in 1860 and made a variety of hardware, including traps, tools, bridles, shaft couplings, and hasps. Andrew Hotchkiss, one of the sons of Asahel, invented the exploding artillery shell. Although the Hotchkiss works produced munitions during the Civil War, the Hotchkiss Company was shortly thereafter moved to Bridgeport, where it prospered making armaments. The Hotchkiss family was benefactors to Sharon, and there is a monument to Andrew Hotchkiss on the Town’s green and a library named after him. Despite their removal, the Jewett Company and their successors, the Noyes Malleable Iron Works and the Sharon Valley Malleable and Gray Iron Company, continued to be major enterprises in the Valley, the latter employing up to 48 people in 1879. Many single women and children were employed in the hardware factory, and after 1850, considerable numbers of immigrants as well. Of these, the greater number was Irish. In addition to working as farm hands, servants and laborers, many Irish men were employed as skilled workers such as moulders and machinists. Sharon Valley’s economy had little, if any, growth in the last quarter of the 19th century, and the limekiln and furnace both shut down about 1900. Among iron furnace remains, the Sharon Valley furnace ranks with the most deteriorated, with its stack completely tumbled down to the level of the interior arches. Some stone may have been removed from the site, but there is relatively little excavation visible in the immediate vicinity. A good amount of fill or all sorts has been added, and a road has been cut in north of the furnace and along the headrace, probably upsetting any artifacts in that area. Nevertheless, the area around the stack, the wheel pit, and the dam may be reckoned as offering potential to the industrial archeologist: the four-inch pipe which protrudes from the slag heap suggests that other artifacts lie below the surface. Documentary material for the site includes an 1874 site plan showing the surface, race and charcoal sheds; censuses from 1850 and 1870 (before and after the conversion to hot blast) giving information on the number of employees, the tonnage of ore consumed, other raw materials, wages, and the value of the product; and legal records of deeds and leases, which mention “barracks” near the furnace and which locate sources of limestone, clay, sand and ore. Questions which might be explored include the origin and evolution of furnace technology, the relation of this furnace to the others in the region, such as the Roxbury furnace which was built by a man from Sharon, and the effect of the association with Barnum, Richardson, the largest iron producer and the last survivor in the state. The relation of the furnace operation with the limekiln, if any, could also best be explored archeologically, since little documentation of this point was found. The limekiln is another significant site, especially since little work has been done on this important Connecticut industry. The stack is well-preserved any could provide information about the process of making lime. The traditional way of producing lime was to dump limestone (dolomite – CaCO3.MgCO3) and charcoal into a kiln in layers and burn the mixture, driving off carbon dioxide and producing oxides of calcium and magnesium. This process was later improved by heating the limestone with an external source of heat, thus avoiding charcoal ash in the lime. In the 20th century, gas and electric rotary kilns were introduced, allowing a continual process, rather than periodic charging of the kiln. Preliminary inspection suggests that the Sharon Valley kiln’s two arched openings were for building fires to heat the stack, while the rectangular opening, now blocked off, was where the lime was drawn off. If so, the kiln represents a transition from the traditional to the modern technology. Documentary evidence points to a construction date of about 1880. Archeological investigation of the stack and surrounding soil could determine the process more definitively. Comparison with the few other surviving kilns in the region could place the Sharon Valley kiln more properly in context. The Berlin Bridge over Webatuck Creek is significant for those interested in the history of engineering. It is a representative example of the small 19th century truss: wrought iron members, pinned construction, and a distinctive truss design. The lenticular truss was used in hundreds of bridges built by the Berlin Iron Bridge Company. Most were pony trusses though few were as small (only three panels) as this one. The road has been widened, and the trusses now serve only as guardrails, but the bridge deserves recognition as one of a shrinking number of wrought-iron spans, once a common part of the Connecticut landscape. Additional industrial sites exist in Sharon Valley, but they have left far fewer traces. The site of the malleable iron works has been filled, graded and built over, and practically nothing can be seen of the smaller mills and shops along the streams. Both streams have wandered considerably over time, and the effect of flooding and meandering may have ruined some sites and preserved others. The locations of some shops are shown on 19th century maps, and others are mentioned in the legal records. Residents have found some iron artifacts near #’s 2 (the site of the malleable works) and 16 (near the site of a carriage works). The houses and other buildings are rich in historical associations. The economic development of Sharon Valley is memorialized in the buildings and other remains of the various industries. Iron smelting was an important industry throughout the entire region, employing many people directly and creating business for many others, such as the many charcoal-makers and teamsters in towns like Sharon. Although the furnace is now barely visible, the several units of worker housing illustrate the impact of the furnace on the small settlement of Sharon Valley. The three Barnum, Richardson houses are identical to others found at East Canaan: They represent a type of company housing unique to this region. Indeed, iron furnace housing is the only extensive company housing found in the area. The continued existence of the Sharon Valley Iron Company’s office, now the Valley Tavern, adds another element not found at the other furnace sites. The limekiln is a reminder of another industry which made good use of the numerous outcroppings of limestone in the surrounding hills. Although less is known about its operation, its prominent position next to the road accents the importance of the industry in the region’s economy. Today, commercial limestone quarrying takes place only in Canaan, but in the 19th century, limestone was quarried and burned for agricultural lime throughout the northwest part of the state. Far less is visible to mark the importance of the malleable iron industry. The former store of Hotchkiss& Sons, now vacant, stands as the sole reminder of the role of this industry in the Valley’s economy. The houses themselves tell something of the entrepreneurs, craftsmen, and ordinary workers who built or resided in them. The finest house in the district, #36 (photos 5 and 22) was the home of Lyman Bradley, who built the first iron furnace in 1825, and later the home of Chauncey Morehouse, farmer, large landholder, and owner of the limekiln. Asahel A. Hotchkiss lived in the smaller but nicely detailed Federal house south of the intersections, #53 (photos 10 and 11), and one of his partners, Ebenezer Garnsey, owned #11 (photos 13 and 14). Another Hotchkiss partner, Alpheus Eggleston, lived in the small house, #62 (photo 18); Eggleston made wood and metal mousetraps, a product later continued by the Jewett Manufacturing Company. Fitch Landon, part owner of the Landon Iron Company, which operated the furnace from 1847 to 1873, lived first in the plain house, #41, which Hotchkiss built about 1842, and later in the more fancy #15. Residences of less prominent craftsmen include that of David Beebe, cabinetmaker, #52 (photo 10) and #14, the residence of the blacksmith H. Middlebrow (?). An 1874 map of the Valley shows a growing ethnic diversity with several small houses near the cemetery owned by Irish families. Of these, only the one owned by J.J. Doyle, #3 (photo 21), has survived. The numerous barns in the district recall the rural setting of this manufacturing village and the full or part-time farming engaged in by its residents. Both the elegant houses owned by the Valley’s major manufacturers and the much plainer houses lived in by the workers help to create a distinct milieu, one which, taken together with the barns, company store and office, and the industrial remains, reflects the Valley’s heritage as a manufacturing center in an essentially rural region. Among the architecturally significant buildings in Sharon Valley are three fine Federal houses which must be reckoned among the better examples in the state of the country use of Federal detail. The Abel Woods House, #36 (photos 5 and 22) which local tradition dates as early as 1750, was more likely built in the 1820s, when the land came into the hands of Lyman Bradley, the iron-maker. The small quoins, delicate window caps, and intricate portico moldings are all fine illustrations of the principles of variety, lightness, and free adaptation of Classical precedents which characterized the period. It is the richly detailed interior, however, that places the house in the first rank: the central hall archway with its columns and varied bands of decoration, the elaborate mantels, and the alcove arches with key blocks carved as faces are easily the equal of other fine Connecticut Federal-style houses. Despite its aluminum siding and modernized interior, #11 (photos 13 and 14) is also notable: it too has finely scaled Classical detail – mutules, pearl moldings and arches with key blocks. Moreover, it has several features not commonly found on country Federal houses: the fluted Ionic corner pilasters, the Palladian window set within an arched opening, and the gable lights glazed like the globe with lines of latitude and longitude. The Hotchkiss House, #53 (photos 10 and 11), is somewhat plainer than the preceding two houses, but the doorway with its pilasters, elaborate fanlight, and molded cornice is a good example of its kind. Although the other houses of this period, #’s 16, 35, and 52, are more altered than the foregoing and were probably plainer to begin with, each makes a small contribution by preserving a Palladian window, cornice, or fanlight to indicate its origin, thereby adding architectural continuity to the district. The Valley Tavern, formerly the office of the Sharon Valley Iron Company, is also of individual architectural merit (#34, photo 4). It is highly representative of Carpenter Gothic architecture, with its general verticality and its quatrefoil peak ornament showing medieval inspiration. The cusped bargeboard-like trim along the porch is typical of the jig-sawn woodwork that is the hallmark of the style. Widely favored for churches and small houses, this form of Gothic Revival was rarely used commercially, though for such a small office building it seems quite appropriate. The architectural significance of the rest of the district’s buildings is less apparent than that of these individually distinguished structures. Nevertheless, the district’s many plain buildings do represent a distinct type of building common in the 19th century. Especially in rural or small-town areas, most houses were not the exuberant, eclectic, overwrought buildings that come to mind when Victorian architecture is mentioned. Instead, they were more likely to be plain buildings like those in Sharon Valley, with only a slight indication of historical or stylistic source. Some of these details are themselves quite interesting, such as the hollow porch columns on #61 (photo 17), the pointed windows on the Gothic #60 (photo 15), or the intricate porch brackets on #64 (photo 19). Yet the overall impression made by these houses is one of simplicity and straightforward construction. The forms are traditional. The gable-end-to-street orientation and the L-shaped plan, common in the Greek Revival period, continued as the mode through the 1870s. More surprising are those such as #34 and #60 which have the older five-bay façade, 2 ½ story form dressed up with bay windows, fancy wood shingles, or Gothic detail. As one would expect, the buildings put up by the companies are rather prosaic, and it is hardly surprising to find the late 19th century town poor farm a plain and utilitarian structure as well. But to see these in context, one must realize that the houses put up by the ordinary people of the period were likely to be as small and unadorned as the institutional or company housing. Sharon Valley is hardly alone in having these modest houses: they are found throughout the state alongside more elaborate or stylish buildings. But Sharon Valley is unusual in that the many plain houses are preserved in an historical context, one created by the industrial remains, the store and office, the houses of entrepreneurs like Hotchkiss and Bradley, and the many historical associations connected with the buildings.